Aerocon Engineering Company is an aerospace supplier of all expendable, rotable parts and accessories. 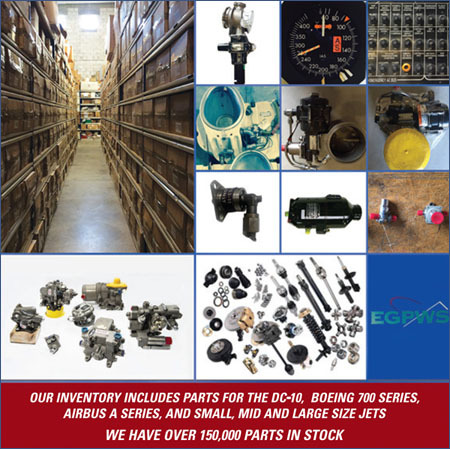 Our core business is the same day dispatch from inventory of aircraft components including: Extrusions, Grommets, Thrust Reversers, Propellers, Diodes, Bolts, Screws, Wheels, Brakes and more. All parts are available for sale or exchange. Aerocon provides aircraft components with full certification to all customers including airlines, operators, maintenance entities, and aircraft manufacturers around the world. At Aerocon Engineering we pride ourselves on strong business ethics and building long-lasting professional relationships with our customers. Aerocon Engineering is a proud member of NBAA.